EDUSERVE is a private consultancy and personal life coaching service for sustainable growth and personal development. There are two key strands of our work. Consultancy is offered to organisations with a social purpose and mission to help them integrate the United Nations Sustainable Development Goals in their work and Coaching is provided to individuals to help them become the best version of themselves. To support educational institutions and social enterprises in aligning their work with the United Nations Sustainable Development Goals and Agenda 2030. 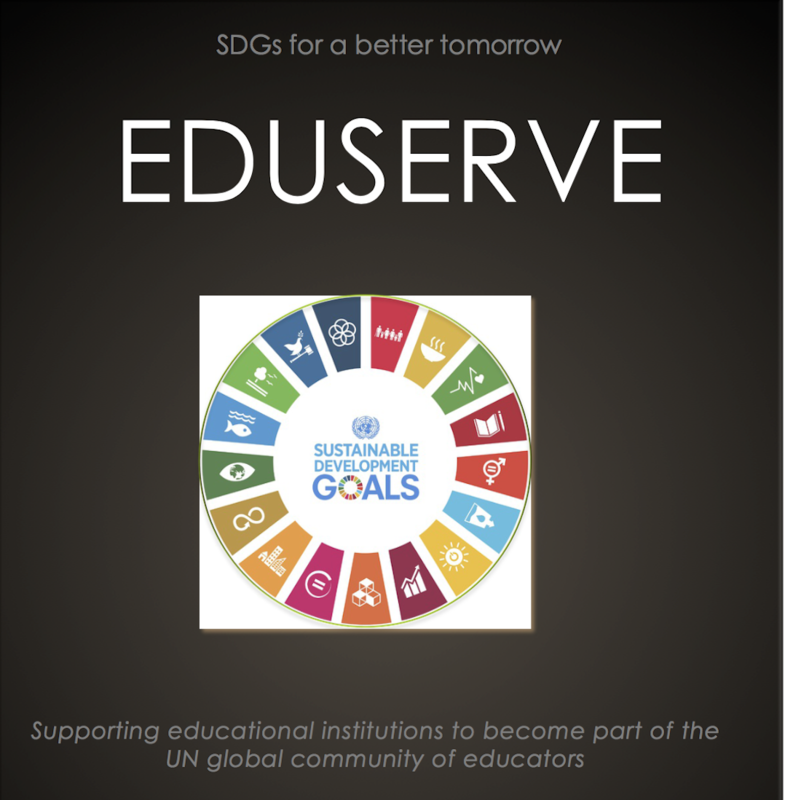 EDUSERVE serves to fulfil SDG 4.7 to build a culture of global mindedness in young people to enable them to develop into competent and active global citizens. Consultancy and Training is provided to senior management, teachers and social workers in adopting a holistic approach to development; linking local issues with universal goals for the collective good of all people on this planet. Training is provided on Social Inclusion, Diversity, Personal Development & Integration of Sustainable Development Goals in the school curriculum. To develop confident and conscientious individuals and empower them with positive attitude to achieve their dreams and make a difference to society. This is done through one-to-one personal coaching and mentoring. This initiative has been set up Shaista Khan, a Pakistani born-Australian national now living in the UK. Shaista is a social entrepreneur who has worked on several international and national-level education, social enterprise and community projects in Pakistan, Australia and UK. These included school development programs funded by UNICEF, CIDA and Swiss Aid Agency in Pakistan and Youth, Community services and Social Enterprise projects in Sydney, Australia. She also managed the coordination of UNESCO-ASPnet schools in the United Kingdom and undertook a sensitive Communications Research project for the Australian government on illegal migration. Over the years, Shaista has created a niche as a marketing communications professional in the charity sector. She is a strong advocate of cultural diversity and has a passion for humanitarian work. She is also a lecturer at the University of Bedfordshire and uses her passion and personal experiences to inspire her students on understanding the social change process and the dynamics of social cohesion. Having lived in different parts of the world as a migrant, she is very passionate about building a positive will to assist forced migrants and is campaigning on the positive contributions of migrants to achieve SDG 3 , 6 and 8. She volunteers with the United Nations Association-Luton and is always willing to contribute to community initiatives. Shaista believes it is vital to bridge the gap between policy makers and practitioners by helping educational institutions understand the universal Sustainable Development Goals that are crucial for the sustainability of our world; and practically implement them in their teaching and community initiatives. She is an active member of the University of Bedfordshire’s Sustainability Forum and also leads a Community of Practice for Social Change inspiring and facilitating students to become active change agents in the society. As the Director and Lead Consultant, Shaista works with a team of professionals and volunteers to achieve the company’s objectives. A certified Master Coach, accredited trainer and a community activist Shaista works with vulnerable audiences and coaches individuals through her coaching business @thesparklingnewyou to reach their full potential. She believes to change the world, we first need to begin with changing ourselves. Only confident successful and positive minded people can bring about a sustainable change in society. If you are passionate about social change and wish to become part of a global movement for sustainable development please contact shaistakhan@eduservecommunity for an informal discussion. Also, have a look at the specific services we provide.